This used to be one of those cheesy arguments, like Star Trek vs. Star Wars, Marvel vs. DC, Call of Duty vs. Medal of Honor... A few years back, we could group almost all board games according to their theme and mechanic. American-style board games, that were derogatorily called Ameritrash, were dripping with themes, with direct player conflict, complex rules and often involving a high degree of luck. Typical representatives of Ameritrash would be games like Arkham Horror, Star Wars: Rebellion or Zombicide. On the other hand, a style of games originating in Germany was called Eurogames. Eurogames had simple rules, shorter play time, abstract components, often with an economic theme and required more strategic thinking than using luck or conflict mechanic. Typical representatives would be Agricola, Catan or Carcassonne. While this categorization might make sense some years ago, that's no longer the case. In the end, what matters the most is that you enjoy playing. Days of Wonder announces their new 2-4 players board game called Yamataï. Designed by Bruno Cathala and Marc Paquien. Illustrated by Jérémie Fleury. With 2016 in the past now it’s time to look towards the future and see what great games 2017 will bring us. Peter H. Møller writes about his most anticipated games of 2017. A preview for Omens of the Deep expansion of Elder Sign from Fantasy Flight Games. W Eric Martin of Board Game Geek writes about new game announcements - Hotshots, Clank! Sunken Treasures, Hellenica: Story of Greece, Anansi and the Box of Stories and Tomb Trader. Star Wars: Destiny has been quite the success for Fantasy Flight Games and they have now announced the newest set of boosters, Spirit of Rebellion. There’s a certain Rogue One feel about this set! So you love Settlers of Catan, and you're looking for something new that’s just as fun? Here are 9 Awesome Games Like Settlers of Catan. Stephen and Zachary, intellectual property lawyers at The McArthur Law Firm, sat down for an interview with Rob Daviau, the father of Legacy games including Risk Legacy, Pandemic Legacy, and Seafall: a Legacy Game. As fans of Legacy games and as trademark lawyers, we wanted to know if other game designers were free to use the “Legacy” name and game mechanics in their own games. Tom Vasel lists his Top 10 games published by Days Of Wonder! Season Five of The Eleven is upon us! And as always, we’re opening it up with eleven more designers you should know. If you don’t see your favorite designer on the list, please check Part I, Part II, Part III, and Part IV before you yell at me. If you still don’t see them, let me know so I can look into them for Part VI. An Interview with id Software's Sean Bean and Fantasy Flight Games' Derrick Fuchs. Wil Wheaton recommends some two players Tabletop games. This is a very short, totally non-exhaustive list of (mostly lighter) games that I love to play with Anne, as well as some other games that aren’t her jam, but are still pretty great. A great epic strategic game for 3-9 players with hundred army miniatures, a lot of tokens and cards and a multi-level strategy. Check out the Table Top Gaming's article too. GoRoGo is a GO game with a twist. The tactics used are GO tactics but the strategy is new based on the use of five new "Henge" pieces. The WarQuest 5th player expansion adds 30+ figures, 5 experience dice, 5 faction dice, and a quickstart companion rulebook. A Cooperative, Deck Building, Tower Defense board game, for 1 to 4 players. Campaign with 10 Missions and leveling characters. David and Jeremy talk about La Granja: No Siesta, a standalone 1-4 player dice game, following up the boardgame La Granja. A review of Onitama by The Board Game Family. Onitama is a two-player, perfect information abstract game with a random starting set-up. On a 5x5 board, both players start with five pawns on their side, with the main pawn in the middle. Santorini is an abstract strategy game first created by Gordon Hamilton in the mid-1980s. The game was previously self-published, but then last year Roxley Game Laboratory picked it up for Kickstarter release. Santorini’s campaign was one of the most successful Kickstarters of 2016, and copies of the game started shipping last month. A very good and funny review of Troyes, a 2010 game that's still very popular and will get a reprint this year. In Troyes, recreate four centuries of history of this famous city of the Champagne region of France. Each player manages their segment of the population (represented by a horde of dice) and their hand of cards, which represent the three primary domains of the city: religious, military, and civil. Tahsin Shamma of Board Game Quest reviews Ulm. Ulm is an action selection, resource management, and set collection game for 2-4 players that takes about 60 minutes to play. It plays best with 3 or 4 players. Futurewolfie of iSlaytheDragon community reviews crowdfunded game The Daedalus Sentence, a cooperative escape game that challenges players to use limited actions and effective communication in order to flee from their captors and escape a dangerous and ever-changing prison. When you take a look at the top 100 games on BGG, Uwe is one of the most prolific board game designers in the world with new games becoming the instant hits. Most of his games are complex euro games with economic aspects and innovative card mechanics but he is also designed other type of games, like Patchwork which is at the moment #1 abstract game on BGG. If you are into euro games, you probably have at least one of his games in the collection. Some of his most popular games are Agricola, Caverna, Le Havre, Bohnanza, Ora et Labora, Patchwork, Fields of Arle and of course, last year's hit, A Feast for Odin. You can read more about him on Board Game Geek designer page, Flaming Dice Reviews interview, or an older 2009. 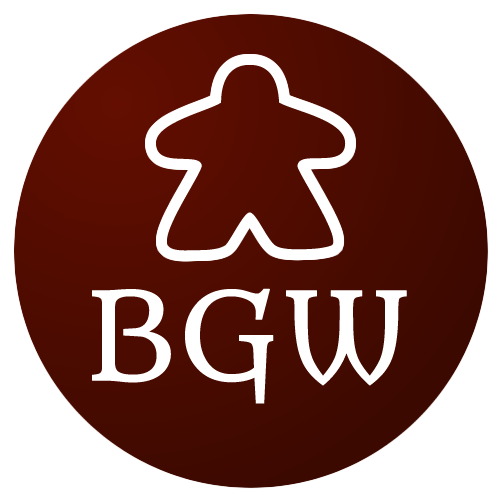 BGG interview. Title image created from modified Flickr images by Geoffrey Fairchild and Hubert Figuière.